A title that really digs into your heart and creates a world full of excitement. 2017 has been quite an impactful year for the gaming industry as we’ve seen major surprises from the likes of Nintendo and their popular hybrid Switch platform, to Sony making some awesome announcements for AAA titles among many others. 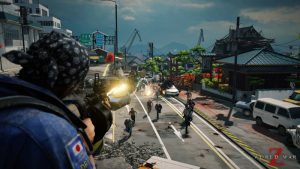 Gaming, as a whole, has really evolved in a remarkable way and one area that’s truly seen this rather beautiful flow of success has been the indie market, where a plethora of new titles have been showing up on major platforms and often times grabbing more attention than other notable franchises. Whether this means a shift in the gaming environment is begged to questioned, but one thing is for certain, it’s that indie titles are becoming a staple product in the overall evolution of the gaming world. So this brings us to Image and Form’s metroidvania inspired platforming adventure where you take on the role of Dorothy, a robot who’s on a mission to discover more behind a suspicious disappearance of her dear friend Rusty. 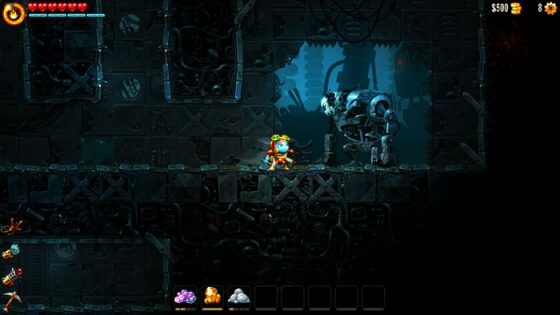 We’ll cover more of the story later in the article but what you’ll find in SteamWorld Dig 2 is an adventure that, much like its overall premise, digs deep into the minds of the player and leaves you feeling this sense of accomplishment and overall joy. 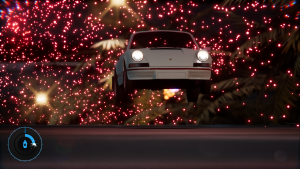 You’ll spend so much of your time hacking your way through various stages, all of which are beautifully crafted to really provide you with this immersive experience. 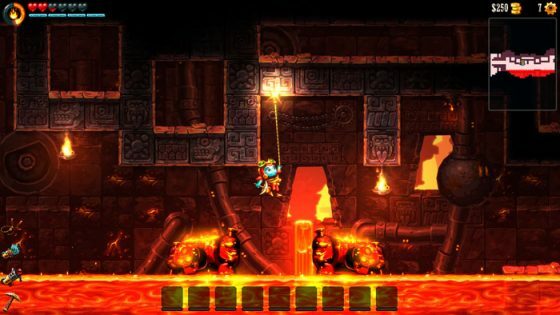 You’ve become sort of like the Indiana Jones in SteamWorld Dig 2 since you’ll be traveling in every direction possible, in search for treasure to bring back to El Machino to further upgrade your arsenal. Every challenge that comes your way is one that always seems to be a step up from the previous one, with enemies having different characteristics that often sway the tide of the game. 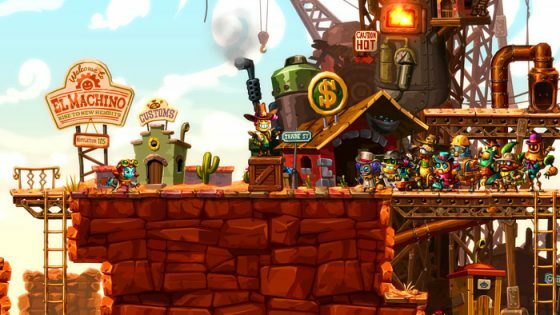 You’re never really too sure what to expect to be honest but that’s perhaps the overall charm of SteamWorld Dig 2, because no matter where you dig there’s always something new to discover and that feeling seems to never wane even towards the end of the game. You don’t even need to play the original SteamWorld Dig to truly enjoy the sequel so dive right in and experience something unlike any other title out there! You play the role of Dorothy, a robot who finds herself in a predicament when her close friend Rusty goes missing, and finds herself in El Machino to uncover the answers. The townspeople tell her of sudden earthquakes that have been taking place for some time, but were unsure of where this random occurrence originated from. Dorothy then takes on the role to dig deeper into this problem and along the way she befriends a little ghost named Fen, who has the ability to possess machinery and guide Dorothy along the way. What the two don’t realize is that the threat that lies ahead is far greater than they imagined. 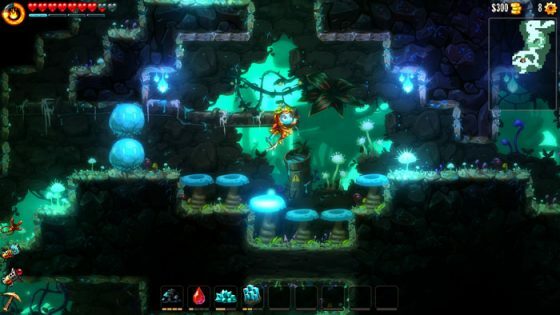 As we mentioned in the earlier paragraphs, SteamWorld Dig 2 combines the fast paced metroidvania experience with a very well oiled and constructed adventure that encourages you to really dig your way through to find clues along the way. 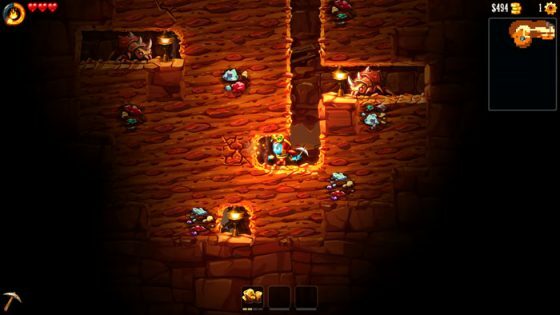 On the surface, SteamWorld Dig 2 feels like a game that’s simple and yet, as you continue to immerse yourself you realize that this game has a lot of very intricate puzzles that you’ll need to solve in order to progress. Each new terrain you discover is full of mystery and in order to uncover these mysteries you’ll need your lantern to help light the way. 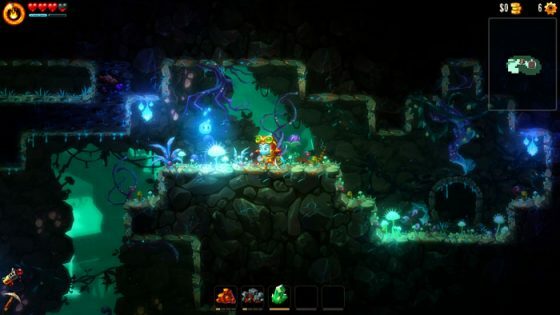 One of the great aspects of SteamWorld Dig 2 is that while you do rely on using your lantern to find your way, it’s not something you’ll always need to have. There were times where the fire burned out and we were left stuck in this world of darkness, but for some odd reason, we felt this sense of calm and just kept digging hoping to find something along the way. It reminded us a lot like life in a way where, often times the light we carry along with us sometimes burns out but in spite of the challenges that lie ahead, we push forward knowing that we’d see the light again. Perhaps one of the main reasons why we felt compelled to keep going, despite having less lantern power at times, was due to the game’s music, which to be honest is one of the best soundtracks we’ve heard in a very long time. Our childhood flashed before our very eyes as we overhear some hints of Donkey Kong Country, Mario 64 and even some Nujabes references within the soundtrack. All of that really resonated with us as we ventured through the game and it truly made the experience so much more captivating because, even though you’d encounter mishaps and many random deaths the music just drew you back in. 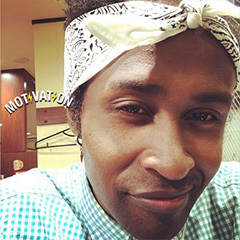 You felt motivated to keep going because you just knew something better would be waiting down the road, often times in the form of cogs or materials you could collect and sell for upgrades. The music was so fitting for every environment you were placed in whether it was the very mystical world of the Glittering Grove, or the very fiery and unpredictable Temple Bowels, there was always something that felt satisfying. Despite the game being very short in length, it makes up for that with replayability. Overall, it took us about 7 hours to clear the story but when you have to consider finding every secret, collecting every single material within each cave which then unlocks the post game content, SteamWorld Dig 2 is actually a good solid 14 hours plus. So if you just want to experience the story and work your way through in a fast manner ala speedrunning, then sure SteamWorld Dig 2 provides that. However if you’re a true completionist and want to truly get the best out of this game, then really digging deep into it all is where the greater treasure lies. Everything starts to feel more meaningful when you actually try to gather every material around, figuring out every puzzle and uncovering secret areas, but more importantly unlocking every powerup to ensure you’re well prepared for what’s to come. There were even moments where bullet hell scenarios made an appearance and so we had to turn on our Touhou switch to make sure we could avoid any incoming projectiles from hitting us. We died a lot in very random ways whether it was a bird trapping us in a corner and pecking us to death, or a rock falling on our head out of the blue, but all of those moments just made the overall aspect of the game more memorable. We had an absolute blast with SteamWorld Dig 2 and wish that Image and Form continue to make more post game content to keep this game feeling fresh. 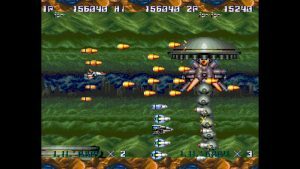 There seems to be so much missing from the game, but in a good way meaning that, more stages could be added along with more challenging bosses to really generate a more enthralling experience. There’s of course a plethora of things to do in the current state of the game but with more attention to detail thrown in over the long run, SteamWorld Dig 2 could really stand out a lot more. This is honestly one of the best indie titles we’ve played and that’s saying a lot considering the amount of indie titles that have been released in this year alone. So our hat goes off to Image and Form for creating a title that’s not only nostalgic in its own right, but truly feels rewarding every step of the way. Easy to understand and pick up for anyone. Just the right amount of challenge to keep you coming back for more. Dig deep enough and the post game content is truly worth it. Just wish the story had a little bit more to it since 7 hours felt a bit short. 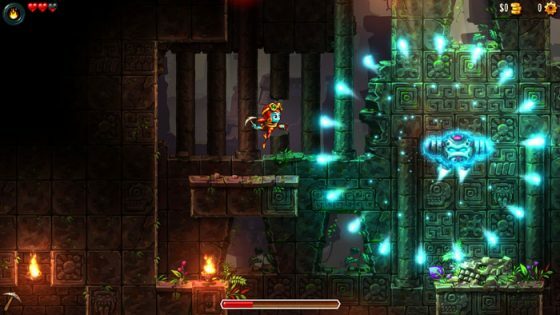 If you’re a Metroidvania fan, then SteamWorld Dig 2 is certainly a title that will fix that craving. It’s full of crazy yet beautifully crafted levels that always have something new to discover over time. Just when you think it’s all over a new wave of content is thrown at you that further encourages you to take on the challenge, and overcome them as they occur. Use your upgrades such as the hookshot to your advantage and come up with clever ways to tackle obstacles and beat powerful bosses. 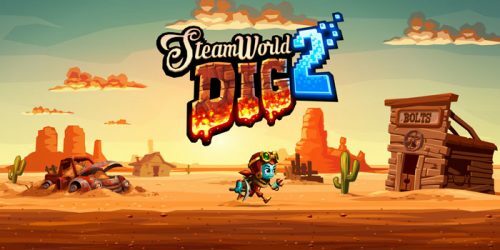 SteamWorld Dig 2 is one indie game you do not want to ignore. Be sure to follow us on Twitter and Facebook to stay up to date with all the latest gaming news, and of course follow us on Twitch to see us play our favorite games live! You just never know, we may play a game you like too! As always, for all things sweet, with news straight from Japan, be sure to keep it locked here on Honey’s Anime.